Do you have hopes of seeing almost mythical wildlife, based on familiar field guides? Like Andalusian hemipode in the bird books? Here's a whole page of flowers I wondered if I'd ever see. Page 168 in my battered copy of Fitter, Fitter and Blamey's Wild Flowers of Britain and Northern Europe (FFB below) is the wintergreens page. 1-6 and 8 are mysterious and odd-looking flowers, northern specialities, two of which are absent from the UK. "The farther we walked the more botanically rich it got, including lesser twayblades, yet another new orchid for me. But it was the wintergreens that were most remarkable, no less than five species. The showiest were yellow wintergreen plants, and two small ones were not quite in flower: toothed and umbellate wintergreens. "The prettiest was one-flowered wintergreen and the oddest the emerging shoots of the saprophytic yellow birdsnest. Adding in this morning’s, that was six wintergreen species in one day – quite something." Left: one-flowered wintergreen Moneses uniflora (no 1 in FFB). This photo chops off some of the outrageously long flower stalks, and you can see a scatter of more flowers behind the two in front. The twigs, moss and background trees give a feel for the open conifer forest habitat. Right: toothed wintergreen Orthilia secunda (no 2 in FFB), in bud with last year's dead flower stalk. ' Toothed' describes the leaf edges. Left: umbellate wintergreen Chimaphila umbellata (no 6 in FFB). Umbel-like head - so a style that recalls the carrot and cow parsley family. Right: yellow birdnest Monotropa hypopitys (no 8 in FFB, but see taxonomic note, right). This is generally described as a saphrophyte - feeding on decaying organic matter, with no green coloration from chlorophyll - but nowadays considered to be parasitic on fungi, the fungi's mycorrhiza linking with nearby trees. Yellow wintergreen Pyrola chlorantha (no 5 in FFB) growing with cowwheat (see other wildlife with a WW here). Round-leaved wintergreen Pyrola rotundifolia (no 4 in FFB). The wonderful wood-meadows of Estonia. 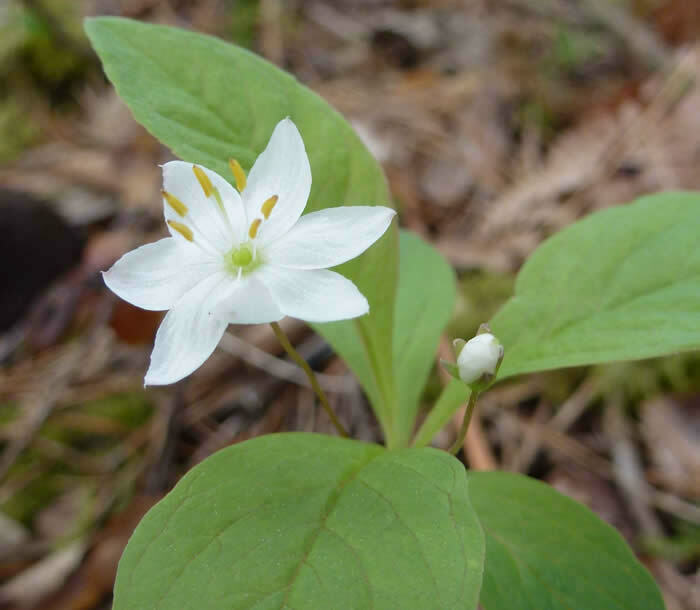 Chickweed wintergreen: despite the name not a wintergreen, rather an unusual member of the primrose family found mainly in northern pine forests. Photographed in Latvia. 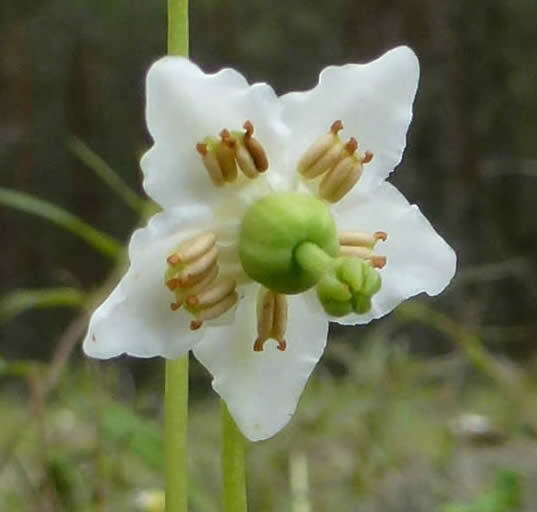 The full Estonia recce list from the wintergreen family, Pyrolaeae. The last species was once in its own family Monotropaceae, then with the wintergreens (including in my book) but now in a sub-family of the Ericaceae, the heather family. More on Wikipedia. Note: these were in late June; the Honeyguide holiday in early June 2017 may be too early to see a wide range of wintergreens.